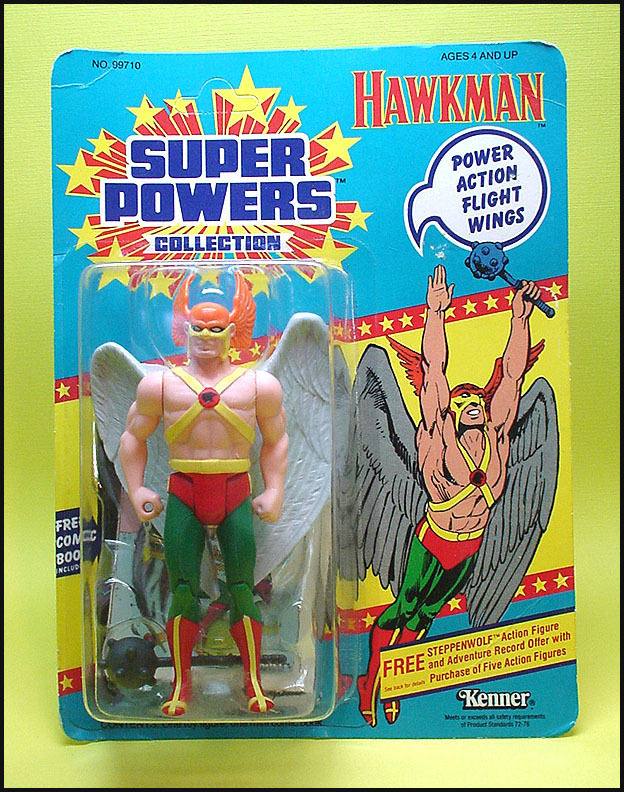 Kenner definitely released Hawkman on two of the three different card styles for the 1st series action figure assortment. To date I've failed to document Hawkman on the 12-back "Free Poster Offer" card style. One of the two 1st series Hawkman card styles, shown above, is the 12-back card containing the "Steppenwolf Offer". Sending in five proof-of-purchases entitled young collectors to a free Steppenwolf action figure along with a small record entitled "The Darkseid Saga" and rebate coupons. The promotion was offered by both Kenner and Kenner Canada. 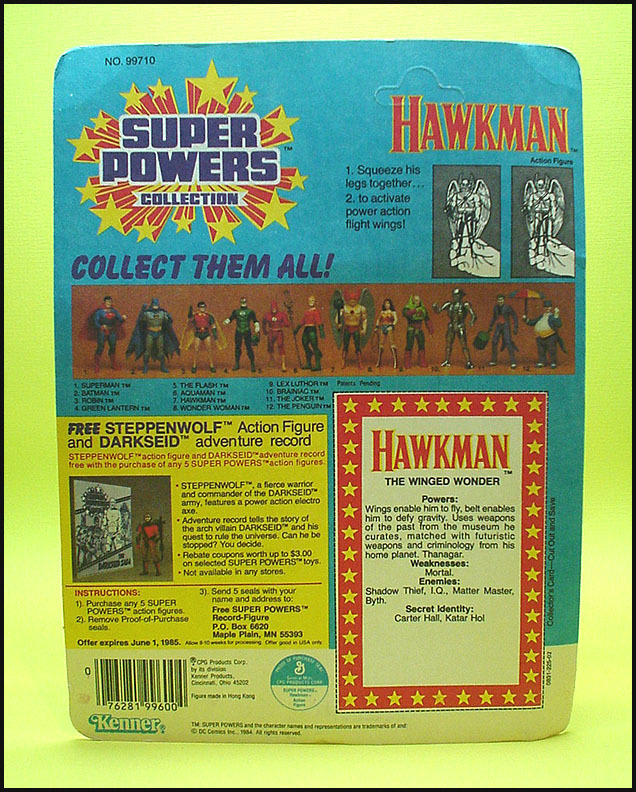 Kenner released all twelve first series characters on this 12-back card style.